According to a new report, Prince was scheduled to meet with an addiction specialist to help curb his reliance on painkillers the day that he died. Prince’s team requested emergency support from leading addiction specialist Dr. Howard Kornfeld just a day before the singer died. Dr. Howard Kornfeld was unable to make it from California to Minnesota immediately but sent his son. In a strange turn of events, it was his son, Dr. Andrew Kornfeld, who called police after joining Prince’s staff to search for the missing singer. The Kornfelds’ lawyer, William Mauzy, said neither had met Prince before his death. William Mauzy told reporters on May 4 that Prince’s team contacted Dr. Howard Kornfeld on April 20, the day before Prince died. Unable to make it to Minnesota, Dr. Howard Kornfeld dispatched his son, Andrew, and called a local doctor, who cleared his morning schedule to stabilize the singer. When Dr. Andrew Kornfeld arrived at Prince’s Paisley Park home, he was told that the singer was missing. He joined members of staff to search the property and made the emergency call when Prince’s unresponsive body was found. William Mauzy said the plan was to stabilize the musician in Minnesota, before flying him to California to seek treatment at Dr. Andrew Kornfeld’s Recovery Without Walls rehab centre in Mill Valley. The lawyer confirmed that Dr. Andrew Kornfeld had been interviewed by police, but was protected by Minnesota’s Good Samaritan law. The law offers some legal protections to those who make emergency calls, to encourage them to do so. No details have been released from Prince’s autopsy report, but investigators are looking into whether the singer died from an overdose and if a doctor was prescribing him drugs in the weeks before his death. They are also trying to establish whether a doctor was on Prince’s plane when it made an emergency landing less than a week before he died. 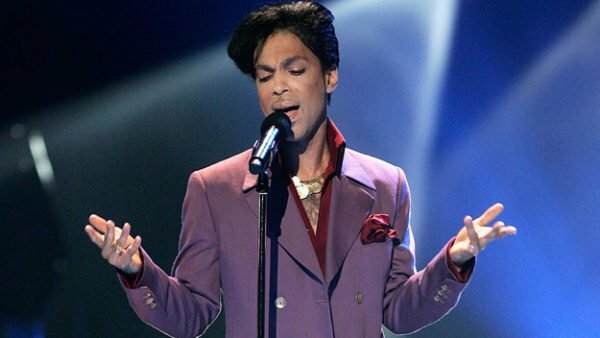 Prince was found unconscious on the plane after it stopped in Moline, Illinois, on April 15. Detectives investigating the musician’s death have asked to see fire and ambulance records related to the emergency landing. It also emerged on May 4 that emergency calls were made from the Paisley Park complex 46 times in the past five years. A log released by Minnesota authorities showed the 911 calls related to everything from medical emergencies to false fire alarms. It included one call in 2011 in which an unidentified woman said she was concerned about Prince’s cocaine use, but no police action was taken.